This modern twist on a traditional design makes room for extra seating. 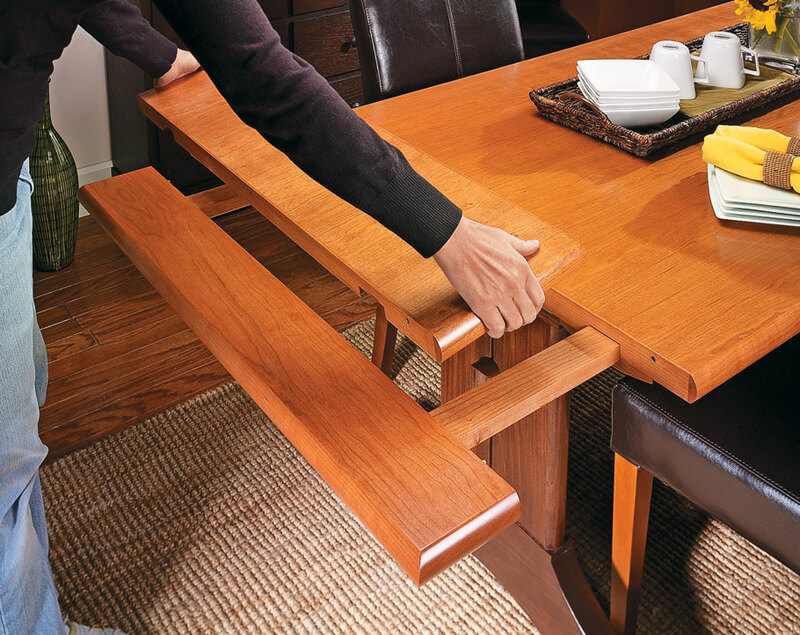 And with a few simple techniques, you'll have the table done quickly. 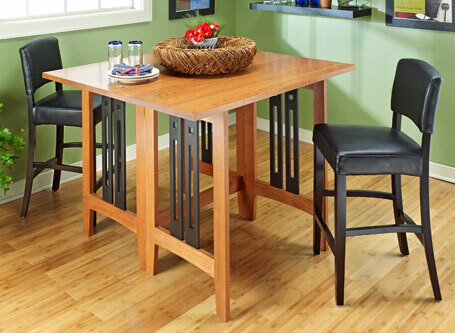 The inspiration for this table comes from traditional trestle table design. 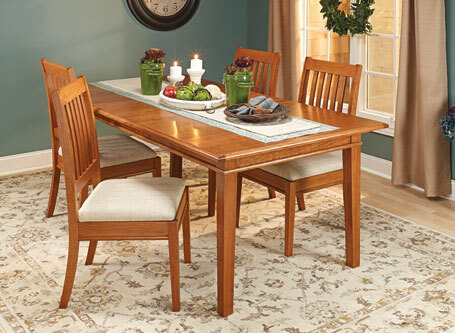 It features a large top with breadboard ends on a sturdy base. 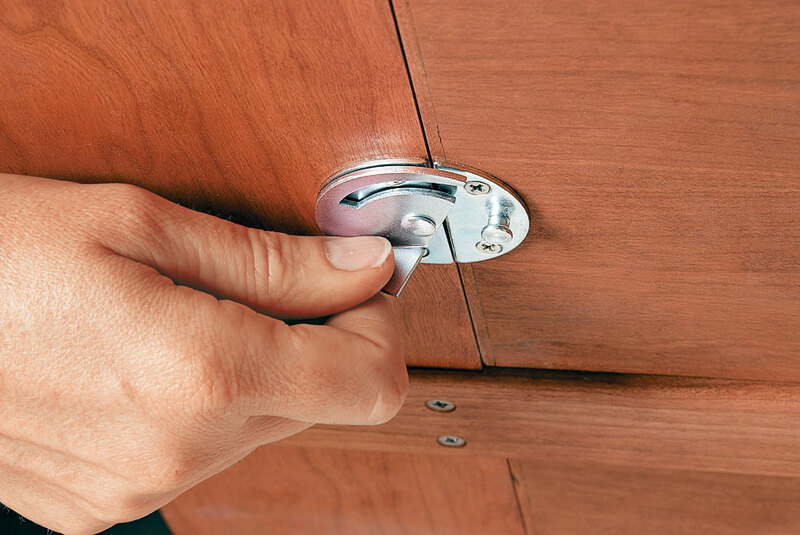 But it has an interesting twist — each breadboard end slides out to accept a leaf. 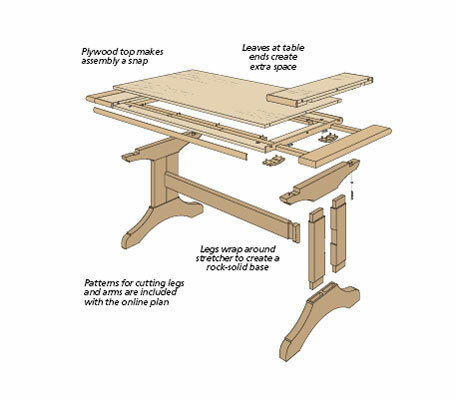 A design option for building the trestle table without the expandable top. 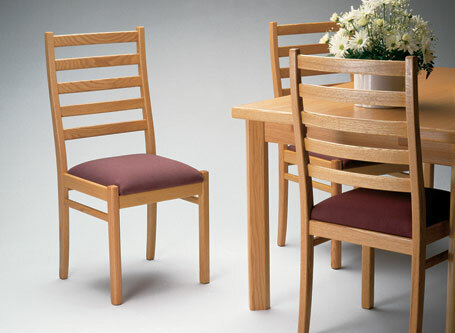 Take the challenge out of making the curved parts for these dining chairs by using templates and our step-by-step instructions. 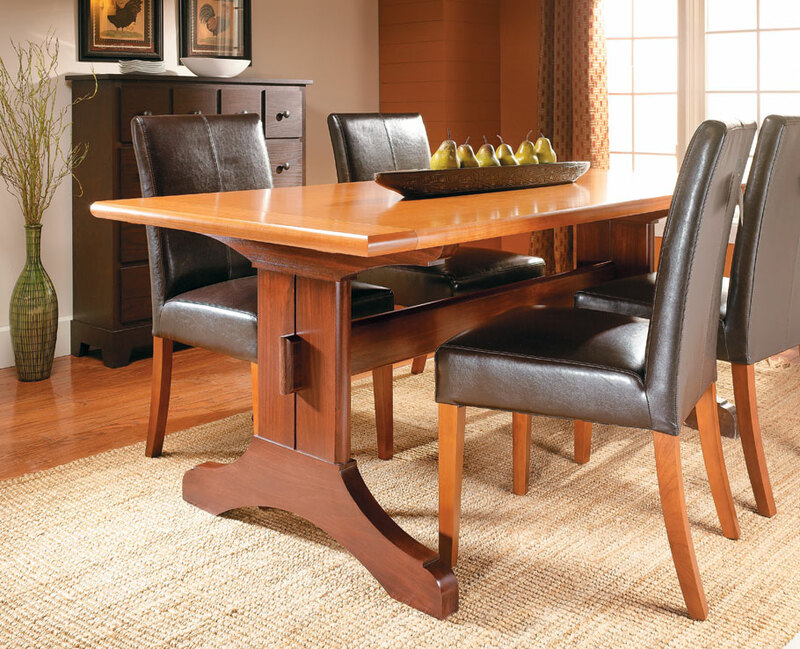 This innovative Craftsman-style design makes better use of space in a dining area.